Develop prototype prediction maps of appropriate cover crop planting window for oats, buckwheat, oilseed radish/daikon radish, mustard and forage peas. Field validation and deployment of the models. The development of planting advisory maps for seven cover crops will enable farmers to decide when to plant cover crops in their fields. The development of planting advisory maps will advise growers to plant cover crops on proper time so that cover crops can grow sufficient biomass, which provide economic benefit to growers. Grain farmers are growing cover crops for various reasons including suppression of weeds, insects, and disease; recovery of nutrients or as livestock feed/forage. Perhaps the largest reason for growing cover crops is for soil health. Specific soil health goals include reducing compaction, minimizing wind and water erosion, increasing soil organic matter, and feeding soil microbes and fauna. Other than species selection, the amount of plant biomass produced and the stage of development are important for achieving desired goals of cover cropping. Because climate and location are important, there is a need to provide location specific recommendations on planting windows that will lead to successful cover crop biomass production. Recently, models of cover crop planting windows for northeastern United States were developed. The map was for buckwheat based on growing degree days (GDD) and cover crop growth with various planting dates. Using similar theoretical concept, we propose to develop GDD-based models to identify cover crop planting windows suitable for southern Ontario (i.e. crop production region). This will identify the fit of various cover crop(s) in the typical fallow period (i.e. third week of July to first frost), which will be a benefit for grain farmers, as well as those interested in cover crops for livestock feed, soil quality, or for other purposes. Therefore, identifying planting date range and optimum window period of all these groups of cover crops proposed in our study will be very useful for Ontario grain growers. The cover crop planting advisory maps were developed using cover crop biomass data from the multi-year field trials from University of Guelph, Ridgetown campus. The thresholds for advisory maps were also compared with the advisory maps developed using thresholds from scientific literature. Inputs from University of Guelph and OMAFRA cover crop specialists were included to refine the advisory maps. 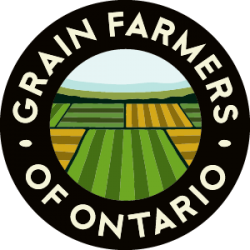 The advisory maps will provide guidelines to growers when is the optimum and latest time to plant cover crops in Ontario. Planting cover crops during the appropriate time in the fall will allow enough time for the cover crops to become established and grow before killing frost (-4°C) occurs. The planting advisory maps were developed and deployed for five short-season cover crops, buckwheat, mustard, radish, oats, and forage peas as well as two winter annual cover crops, cereal rye and hairy vetch. The cover crops represent four broad groups of cover crops, grasses, broadleaves, Brassicas, and legumes. 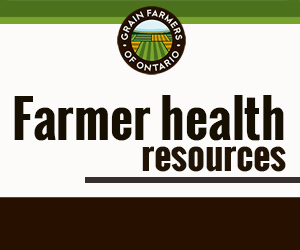 The planting advisory maps are available to Ontario growers online.